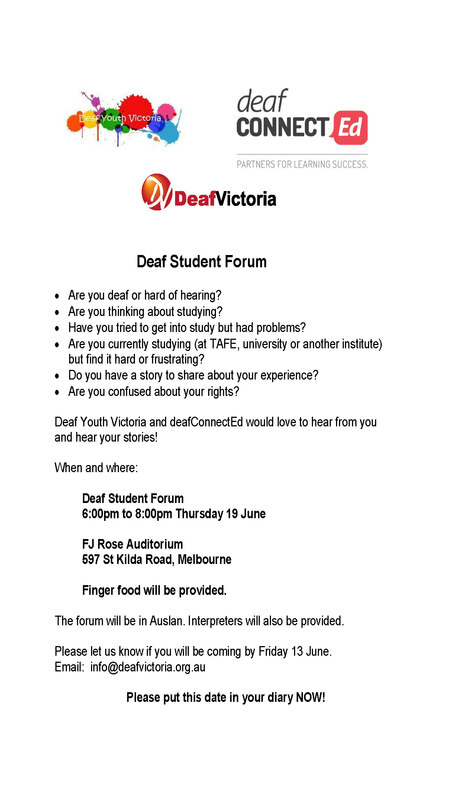 deafConnectEd is working with Deaf Victoria and Deaf Youth Victoria to host a forum for deaf and hard of hearing students. We want to hear your story – your experience or your thoughts about studying at TAFE, university or with a private college. 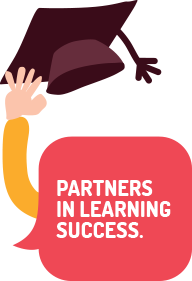 If you are thinking about studying, or you have some experience of study at TAFE, university or a private educational provider, come to the forum. Arrive a bit before 6:00pm for some finger food! If you are coming please email: info@deafvictoria.org.au before Friday 13 June.